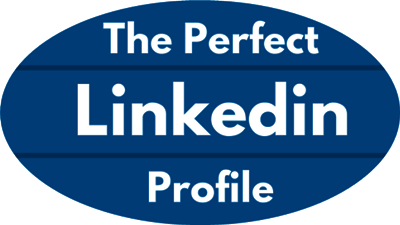 Your LinkedIn profile, which is essentially your online resume, serves as a starting point for recruiters and hiring managers to learn more about you. It's also a great link to include when applying for new jobs or even new business opportunities. Take the advice from CNBC contributor Suzy Welch: "If you maximize your LinkedIn profile, you may not be looking for your next job. It could come find you." The summary section on LinkedIn is a great place to showcase your achievements and professional’s goals. In fact, recruiters consider it the most important section of your profile, according to LinkedIn. "Use it as an opportunity to talk about your experience, motivations, interests and skills," says Welch. "It matters." According to LinkedIn, profiles that include a photo are 21 times more likely to be viewed than those without one. They are also nine times more likely to receive connection requests. opt for a flattering, professional photo that best represents you. Skip ones that are poorly cropped, low-resolution. You know what they say: location, location, location. It seems simple, but it goes a long way. "Recruiters screen by location," Welch says. "Leaving your location off leaves you out of the running for a lot of jobs." By adding your city or metro area to your profile, you will boost your chances of being seen by 23 times, according to LinkedIn. By adding your school or schools, hiring managers and former classmates are more likely to find you in searches. In fact, profiles with completed education fields receive 17 times more messages from recruiters. Listing the industry, you work in, or the one you'd like to break into, helps you come up with those recruiter searches. It also helps LinkedIn connect you with the right job listings, events and trending articles. Having an outdated position on your LinkedIn profile page looks bad to recruiters. They might think that because you haven't updated it, you aren't active on the website and wouldn't return their message, or even that you don't take your online professional presence seriously. It only takes a minute, and it's a great way to show your professional trajectory. Be sure to include your current title, company and start date. Don't think of skills in strictly technical terms, Welch suggests. If you have great negotiating or public speaking skills, list them. More employers are looking for people with soft skills, so it can only help you. According to LinkedIn, you should include five or more skills to showcase your different talents.